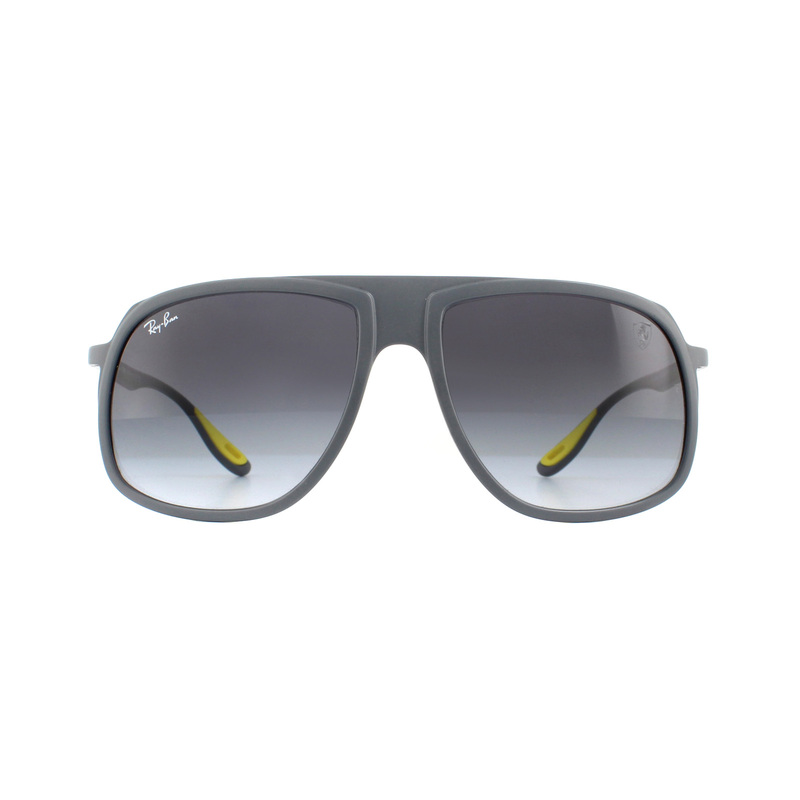 Ray-Ban Sunglasses Scuderia Ferrari RB4308M F6088G Matte Grey Grey Gradient are a bold strong retro style from the Scuderia Ferrari collection, with a squared aviator shape and Ray-Ban's Peek material for a strong lightweight frame. 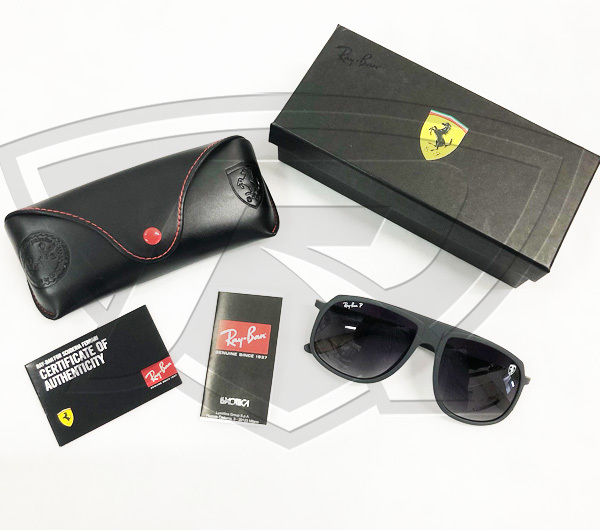 Ray-Ban logo on one lens and Ferrari shield on the other and matching Ferrari prancing horse on the temples, you don't get much better branding combinations than that! 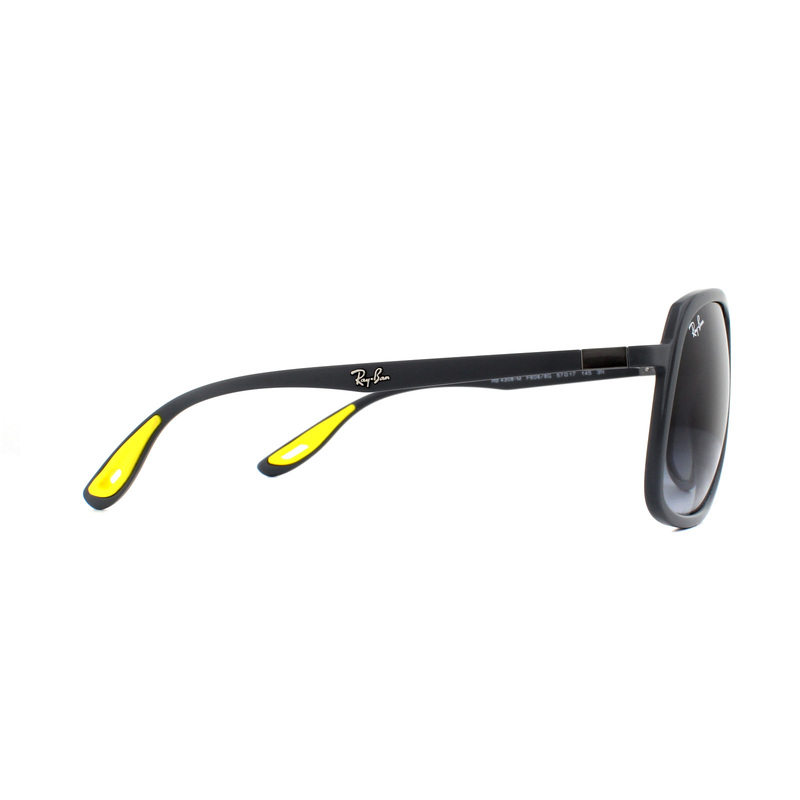 Responsible for the world’s most recognisable style and branding in sunglasses, RayBan lead where others follow with their Aviator and Wayfarer designs. 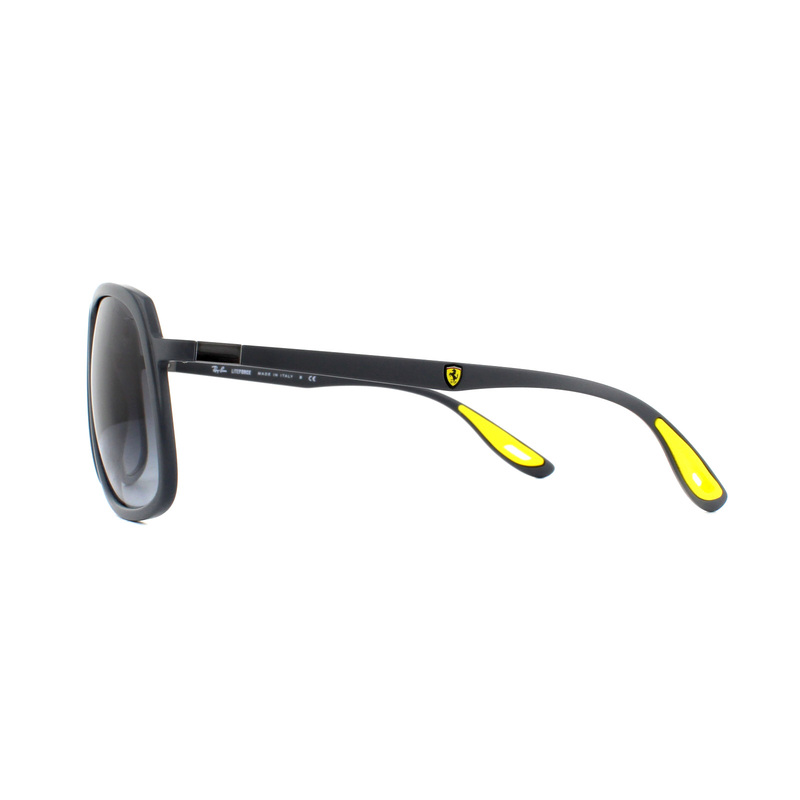 The company was founded in 1937 and have become the cornerstone of what’s hot in the optical fashion world. 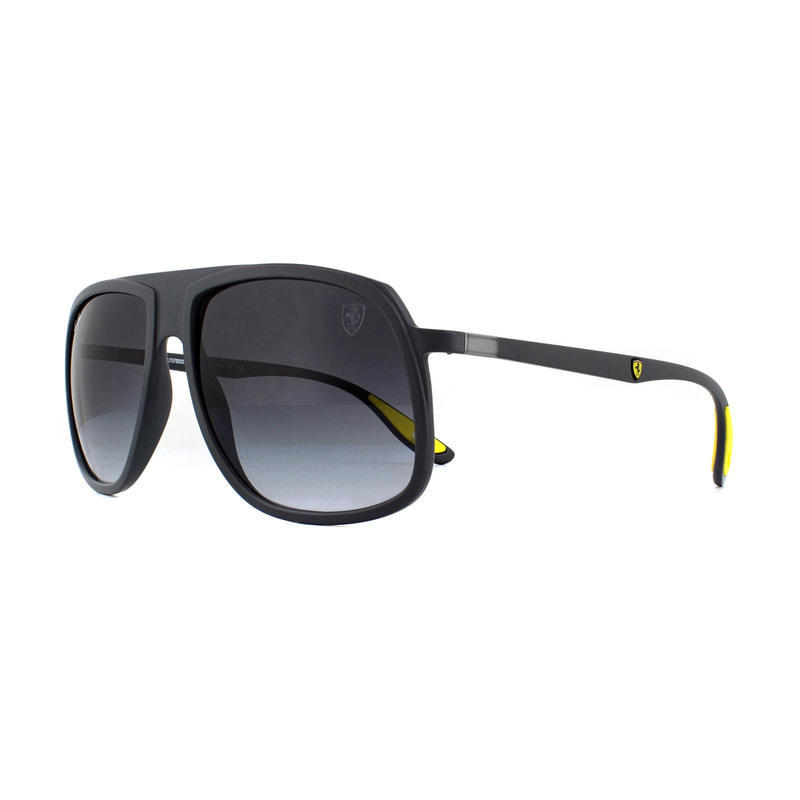 Since 2007 RayBan has again become the most desired brand of sunglasses on the market and their sunglasses have been seen on more A-listed celebs posing in their ‘Ray’s than any other brand. A cutting edge brand that hits the pulse of the fashion market with style, crisp designs and refined quality that is amongst the best in the market to-date.